Comment: Davalos suffered a concussion while practicing for Thunder Valley. It is unlikely that he will line up at High Point. Comment: Fiolek suffered a concussion when she crashed during the second moto at Thunder Valley. Fiolek’s status for High Point is undecided at this point. 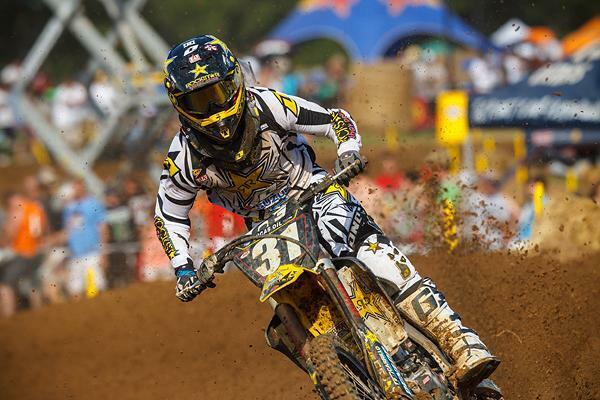 Comment: Tommy Hahn broke his finger at Thunder Valley and will not be racing at High Point. Comment: Tedesco will be racing High Point with a jammed knee suffered at Freestone. 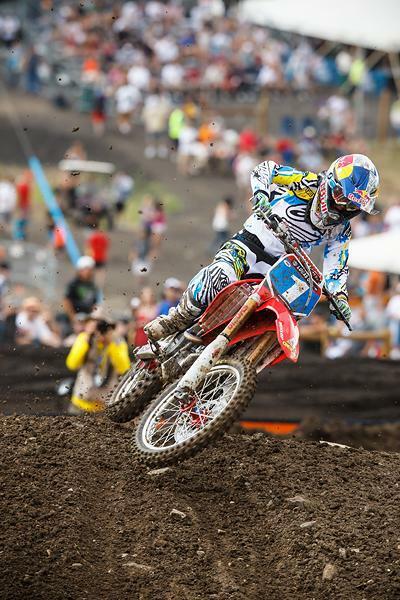 Stewart confirmed yesterday that his injured wrist will not keep him out for High Point. Comment: Millsaps crashed hard in practice before Freestone and sustained internal injuries that forced him to miss the Texas round. Millsaps is still sore, but will be returning to racing this weekend at High Point. Comment: Rattray sustained a boxer’s fracture at Hangtown, and has since had it plated. He has resumed training, and although an official return date has yet to be specified, he is expected to be able to get back on the bike soon. Comment: Bogle has been battling an issue with his knee since the Toronto Supercross, and has opted to take some time off to have it fixed. Bogle underwent minor surgery last week and is hoping to get back to racing at RedBud. Comment: Musquin injured his hand, the same one he broke at Freestone last year, in a heat race crash in Salt Lake City. Before The Nationals got under way, Musquin underwent surgery to have a plate and screws installed, and will be racing the entire National series. Comment: Wharton broke her collarbone at Freestone and is expected to be out for several weeks. Comment: Maheu’s injuries will keep her out of competition for the rest of the year. Davi Millsaps makes his return at High Point after missing the last two round due to internal injuries. Comment: Cunningham is dealing with a sore ankle and leg, but will be racing at High Point. Comment: Noren is hoping to return to racing at Budds Creek. Comment: Durham injured his shoulder practicing before the start of the outdoor season and is out for roughly three months. Comment: Moss had to have some calcium deposits surgically removed from his side. Moss will make his return at High Point. Comment: Browne had surgery to repair a pinched nerve in his elbow that had been causing his hand to go numb since New Orleans. Browne expects to be back racing by RedBud. Comment: Wilson attempted to race Hangtown with a shoulder injury sustained in supercross, but it didn’t work out. Wilson will undergo surgery, and is likely to miss the rest of the outdoor season. Comment: Craig sat out most of the Western Regional Supercross Lites rounds after opting to have surgery to fix lagging problems stemming from a broken wrist he suffered last year at Southwick. He is planning on returning at RedBud. Davalos is out for High Point after suffering a concussion at Thunder Valley. Comment: Sipes rebroke his hand in SLC when Jason Anderson ran into the back of him on the start of the parade lap. Sipes has a plate and screws in his hand, and will be racing all of the outdoor rounds. Comment: Seely crashed hard in SLC and while there is not an exact timetable on his return, he is expected to miss most of the outdoor season. Comment: Villopoto will sit the remainder of 2012 out after suffering a torn ACL in Seattle. Comment: Swanepoel had surgery to fix an issue with the patellar tendon in his right knee and ended up picking up an infection, which kept him off the bike longer than expected. Swanepoel is racing outdoors, but won’t be at 100 percent for a few rounds, and says he will be racing to limit the points damage. Comment: Hackley had a big crash at Houston SX and suffered some broken bones in his back. Hackley also broke three ribs and his collarbone in the crash. Hackley is back on the bike, but as of now, we do not have an estimated return date. Comment: Audette suffered a broken wrist in practice at the East Region season opener in Dallas. Audette plans on returning to racing at Budds Creek. Comment: Vallee suffered a horrible crash while leading a race at Pala Raceway. After being landed on multiple times, he was airlifted to Palomar Hospital and underwent two surgeries, with rods inserted in both femurs and three plates and 33 screws used to repair the left elbow. After multiple surgeries, a month in the hospital and much hard work and therapy, Bryce is now walking again much to the surprise of his doctors. With the help of Eddie Casillas of Asterisk Medical and Charles Dao of ICON Sports, here is a video of Bryce walking for the first time on May 30th at the ICON facility in Murietta, less than two months after the crash: (see above). Donations for medical expenses can be made at www.brycevalleemx.com. Fiolek’s status for High Point is undecided at this point after suffering a concussion at Thunder Valley. Comment: Albers cross-rutted in practice in SLC and landed wrong on his left ankle. Albers underwent surgery and is hoping to be ready for the Monster Energy Cup. Comment: Townley, who was intending on racing the Nationals for TwoTwo Motorsports/Bel-Ray, underwent surgery for a femoral head-associated acetabular rim fracture. 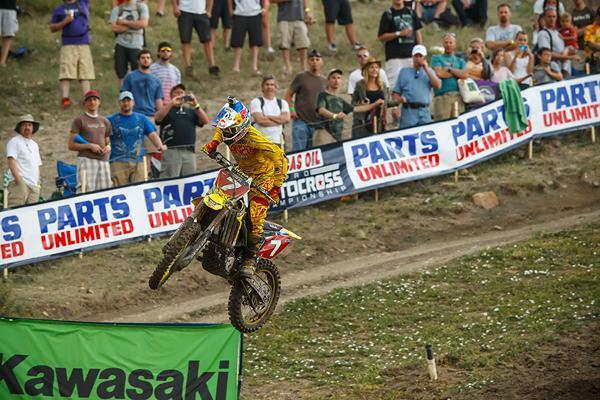 Although Townley is expected to make a full recovery, he will not be back on the bike for the outdoor season. Comment: Lettieri underwent surgery and is hoping to be back on the bike by the end of the outdoor season. Comment: Josh Hill was scheduled to return to racing in Houston, but a broken radial head in his elbow changed his plans. Hill is not expected to enter any races before the end of the year. Comment: In Toronto, Larsen went down hard during practice in a rhythm section, sustaining injuries to his knee and foot. It is unlikely that Larsen will return to racing in 2012. Comment: Decotis crashed while practicing and tore his ACL. The injury effectively takes Decotis out of action for the rest of the year. Comment: The injuries that Reed sustained in Dallas will likely keep him out of competition until 2013. 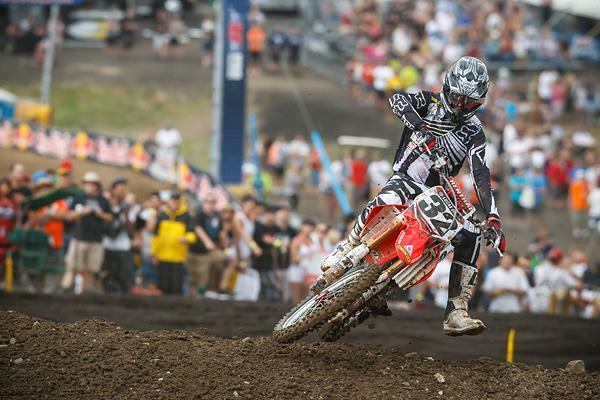 Hahn will miss High Point due to a broken finger suffered at Thunder Valley. Comment: Morais underwent the final procedure this week in a series of surgeries to put his jaw back together. Right now he is still unsure when he will be able to get back on the bike, as he is still dealing with the effects of the crash. Comment: After a terrible crash in Los Angeles, Canard was released from the hospital on January 29 and was able to return home. 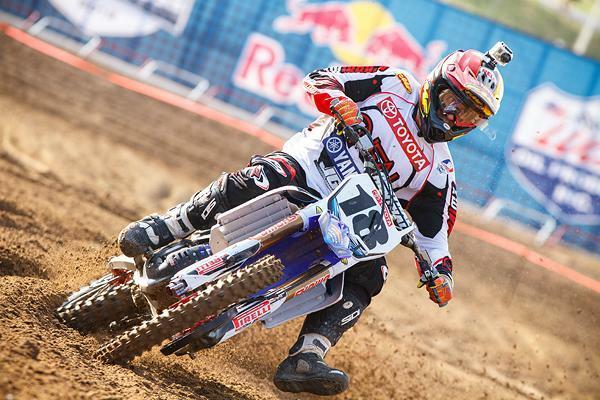 Canard plans on making his return to racing in 2013. Know of an injury we’ve missed? Email our man Aaron Hansel, aaron@racerxonline.com, and he’ll handle it.